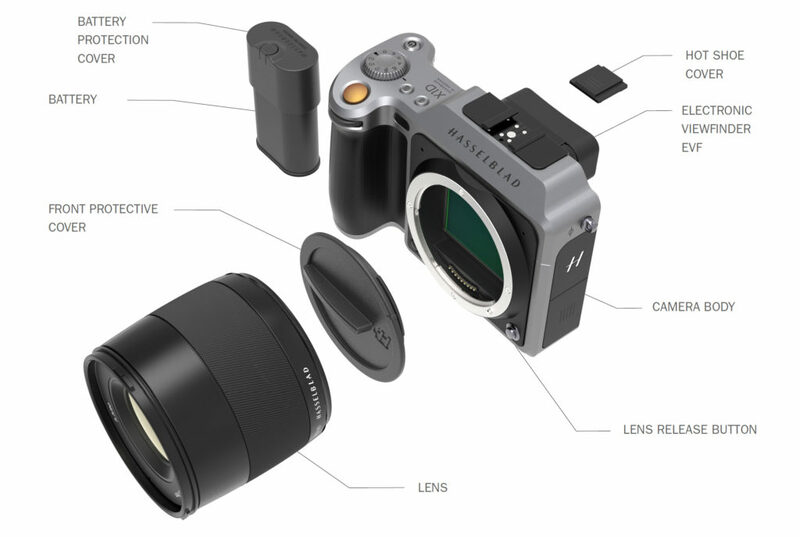 Last spring, like many photographers, I was surprised to see Hasselblad announce the X1D camera. As many readers know, I am old Hasselblad user. My career got off the ground with the Hasselblad 500CM and the 500 EL, with a wide range of lenses. This camera setup was one of my most prized possessions and it quite literally was a large part of my success as a photographer in the 70’s and 80’s. I know I am dating myself, but back then I was doing a lot of commercial and portrait illustration photography. I loved the feel of the Hasselblad and especially enjoyed the results. It also made me think square for much of my work. It’s still a format I enjoy, and at this time, I’m finishing up a project with square images. 2016 was a year of a lot of camera announcements. It got to be confusing with so many different choices, but it was obvious that mirrorless format was becoming a lot more popular. Leica announced a mirrorless camera— the Leica SL. Sony announced 9 new cameras in 2016, all mirrorless. And with the advent of better Electronic View Finders (EVFs), these cameras were beginning to catch on. In June, Hasselblad made a major announcement. 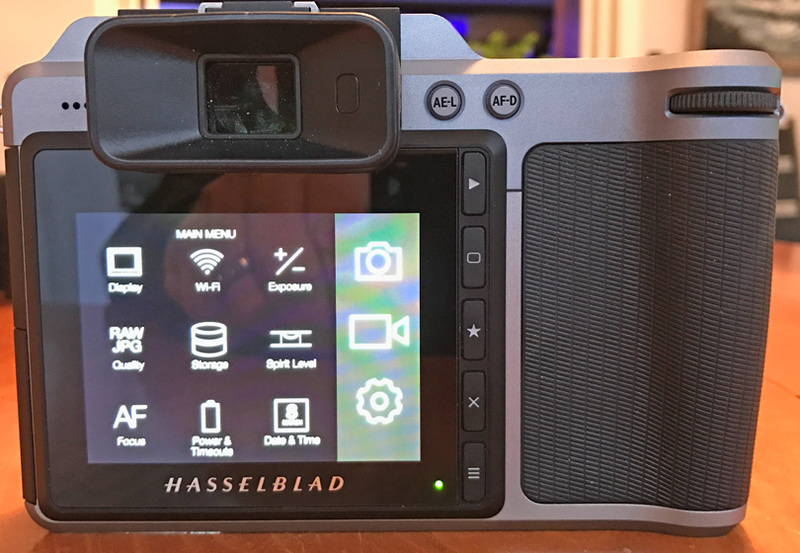 Under the new leadership of Perry Oosting, Hasselblad has abandoned the re-branding of other manufacturers’ cameras and went back to their roots of being a high-end prestigious camera company again. They announced the X1D mirrorless Medium Format Camera. This was huge news and it was obvious Hasselblad was staking its future on a new version of a camera. The look of the camera, as well as its size, held much promise. Some things really stood out, especially the size of the camera and the user interface. Hasselblad was going to launch this camera with two lenses and begin shipping in late August—just a little over 60 days from the announcement. That was incredible, as developing a camera working the bugs out and bringing everything together in quantities needed to ship a new product is a major undertaking. Well, as many of us know that didn’t happen. 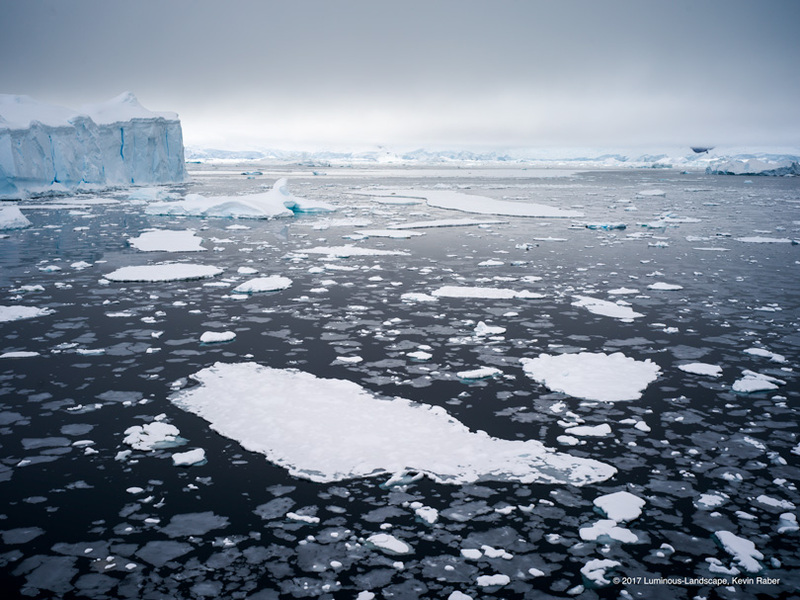 Hasselblad was first flooded with orders beyond their wildest predictions. In a few weeks, they had exceeded their projected sales for the year and more orders were flooding in. The end result was the camera didn’t ship in August, or September or even November. Shipments to customers began at the end of December 2016. Many of the reasons why this delay occurred weren’t all Hasselblad’s fault. There was an earthquake in Japan that severely disrupted the manufacturing of sensors. This affected almost every camera company and delayed many shipments, as well as new camera announcements. 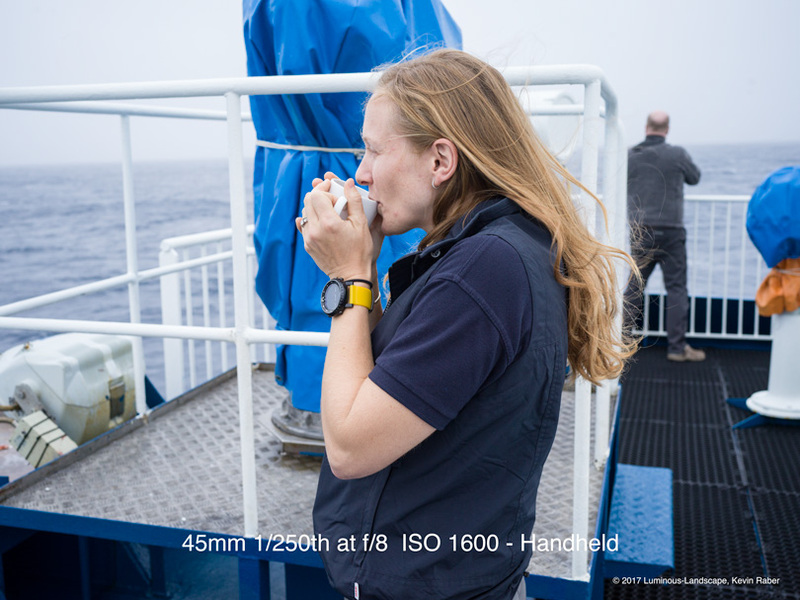 The team at Hasselblad was also trying to work out a few unexpected firmware issues and such that weren’t anticipated. Meanwhile, the orders were still coming in. 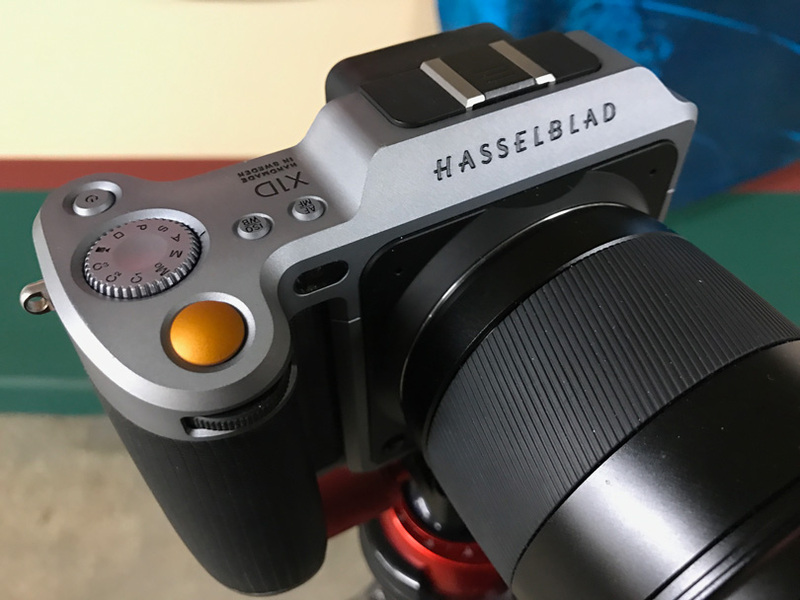 There is no question Hasselblad found a market niche and a lot of potential customers that were willing to spend around $9000 USD to own the revolutionary X1D Hasselblad camera. 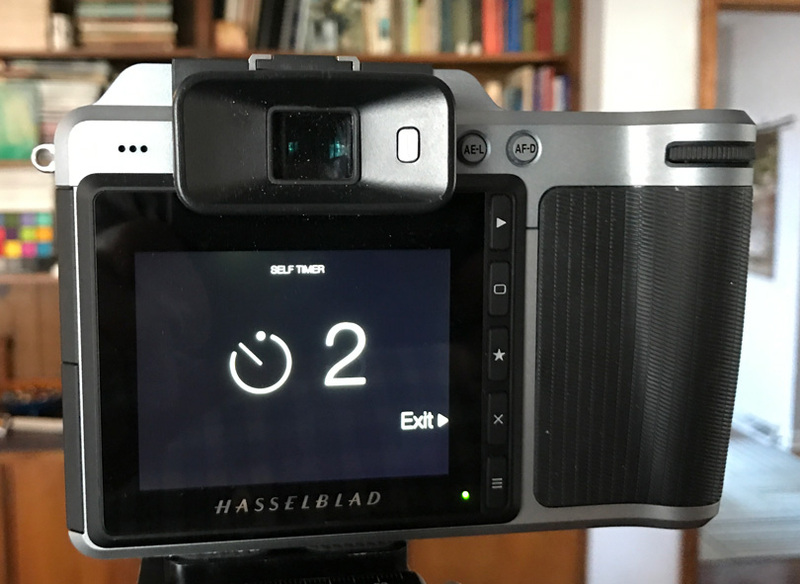 In late October I sat with Perry Oosting, CEO of Hasselblad as well as Ove Bengtsson, Manager R&D and received an update on the X1D and also a guided tour of the camera. It was obvious that Hasselblad had working models, and of course, the outcome of that get together was Hasselblad should be shipping soon. Around November they still weren’t shipping customer units, but they did have some demo units with the latest close-to-shipping firmware. Hasselblad was kind enough to loan me one of these units to test and take to Antarctica for the month of November. 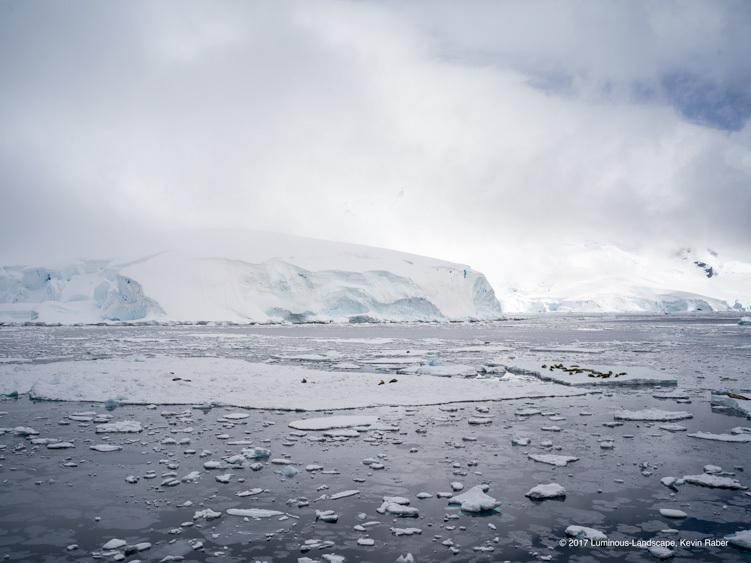 I spent quite a lot of time with this camera while in Antarctica and afterwards. The bottom line is that I really liked what I saw. It’s a badass camera with great potential. 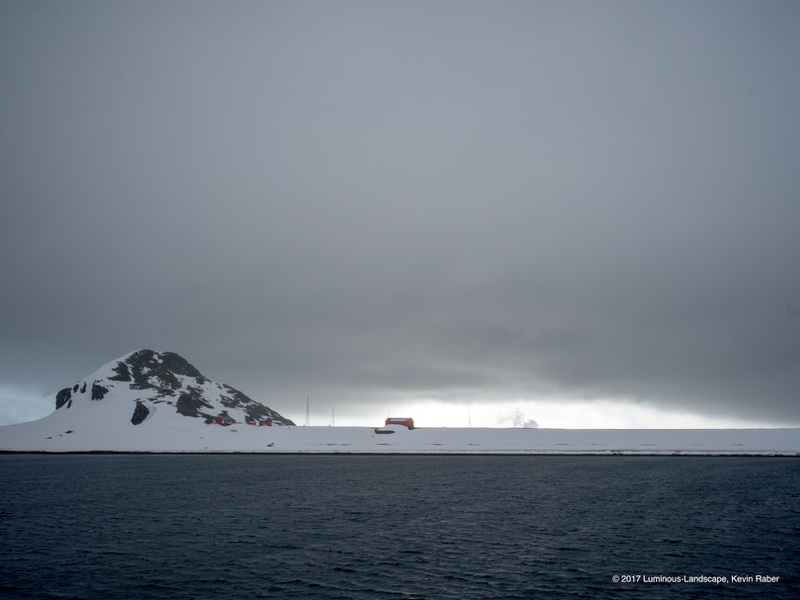 A brown box showed up on November 3rd and low and behold it was the Hasselblad X1D—just in time to take to Antarctica. I missed the Out-Of-Box Experience (OBE) that users will have, as my camera and lenses came wrapped in bubble wrap. 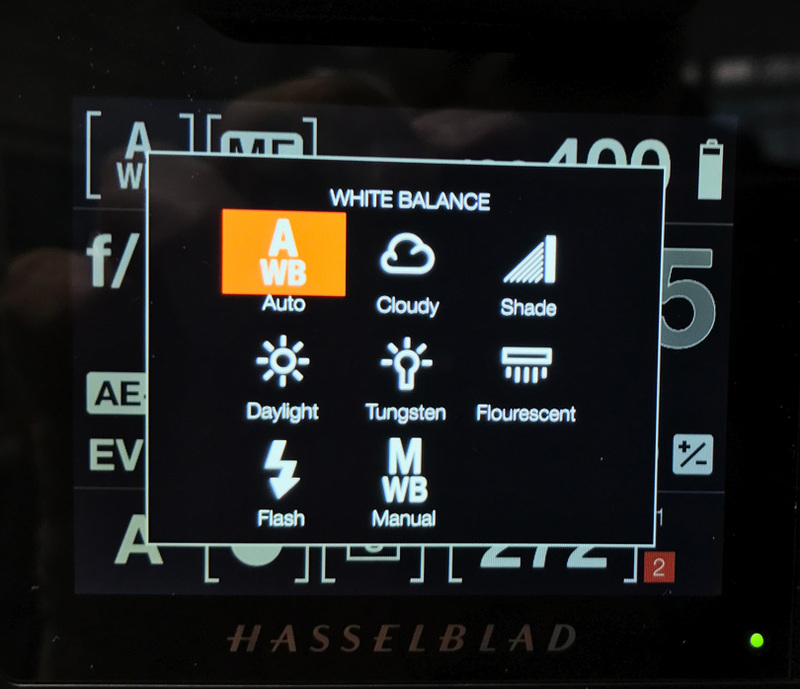 One of the things that Hasselblad has always done a great job with is the OBE. I received 4 batteries, 2 chargers, a 45mm and 90mm lens and the X1D camera body. Since there was no instruction manual, I winged it. To me, that is a big deal. The X1D is one of the easiest and most intuitive cameras I have ever used. 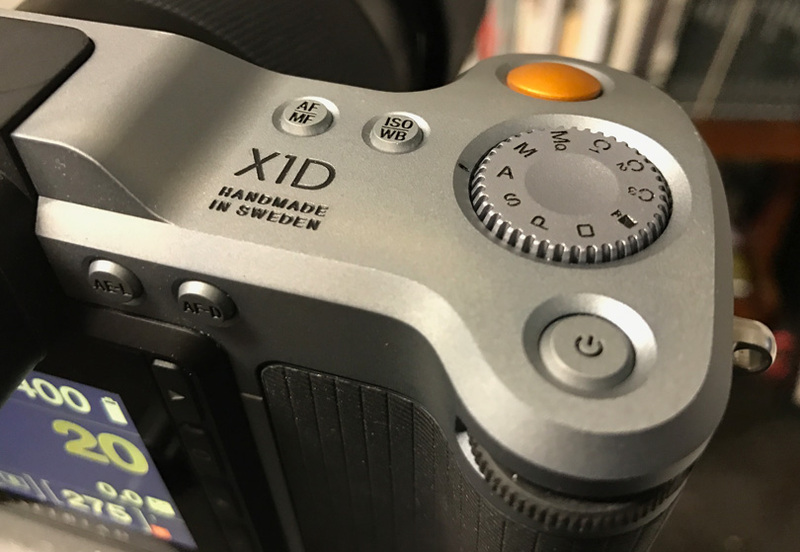 Bear in mind I had some hands-on experience with the X1D during one of my interviews with Ove Bengtsson. I charged the batteries, inserted 2 64 gig SD cards, attached the 45mm lens and pushed the power switch. It took a few seconds for the camera to come to life. I was up and running. It was very simple to set up the date and time and select a few other preference settings. Literally within minutes, I was taking pictures. Much of this is attributable to the amazingly easy-to-use touch screen menu system. If you can use a smartphone, you’ll have no problem getting the X1D up and running. Before we dive into the meat of this review and a lot of different sample images, I suggest you watch my introduction video. The first thing you notice the moment you pick the camera up is how nicely it fits into your hand. The grip works great for big hands like mine, as well as those with smaller hands. The buttons are well placed for easy operation. Best of all, the placement of the buttons is very well thought out. On the top of the camera, there are 4 buttons, one dial, and two scroll wheels. The power button is self-explanatory. It’s recessed, as most of the buttons are, to avoid accidentally pressing them. The big gold button is the shutter release. It also starts auto-focus with half a push. This is pretty typical of all cameras. 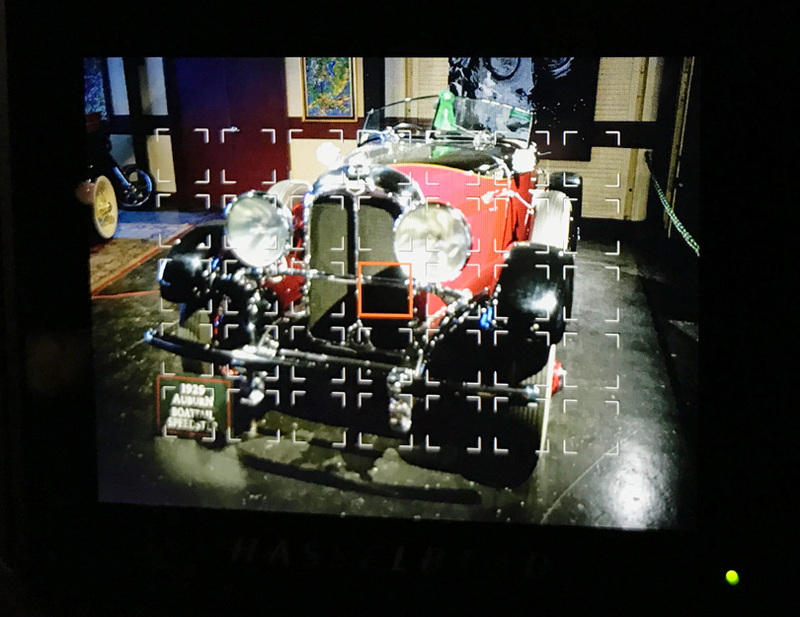 There are two buttons to the right of the viewfinder. The first is the AF/MF button. Press once to switch back and forth between Auto-Focus and Manual-Focus. Hold for three seconds to activate the AF focus point grid on the rear screen. You then tap on the AF point you want and it locks to that AF point position. 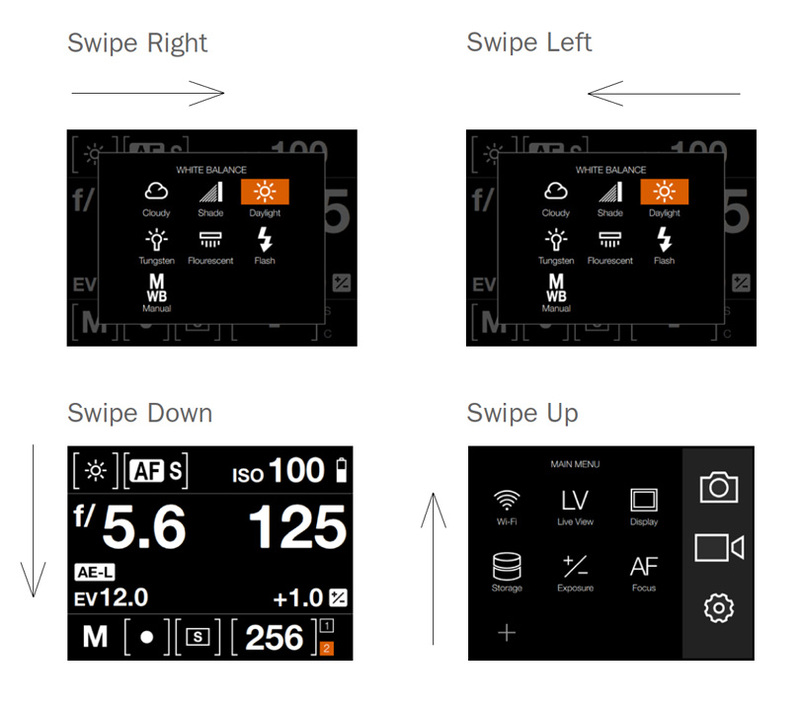 When using these buttons you are presented with a little icon in the viewfinder or on the rear screen. Using the scroll wheel, you rotate it to your selection. The button to the right of the AF/MF button is ISO/WB. Press once to activate the ISO screen. You can use the scroll wheel to change to the new ISO. Press again to change the white balance you can use the scroll wheel on the rear of the camera to set a new white balance. I should point out that these controls can also be activated by tapping on the related icon on the rear screen. Doing this brings up the selection. Swipe with your finger to the desired selection and tap again to lock it in. This kind of operation makes this camera crazy simple to use. With a little practice you know where everything is and making changes is then very easy. I found I used the rear screen to make changes all the time and the only time I used the AF button or white balance on the top was to change AF points. Also, on the top of the camera, is a mode dial. This is another clever feature. The dial is recessed to avoid accidentally changing the settings. Push the center of the dial and it pops up so you can rotate it to the choice you’d like. There are numerous choices . . . 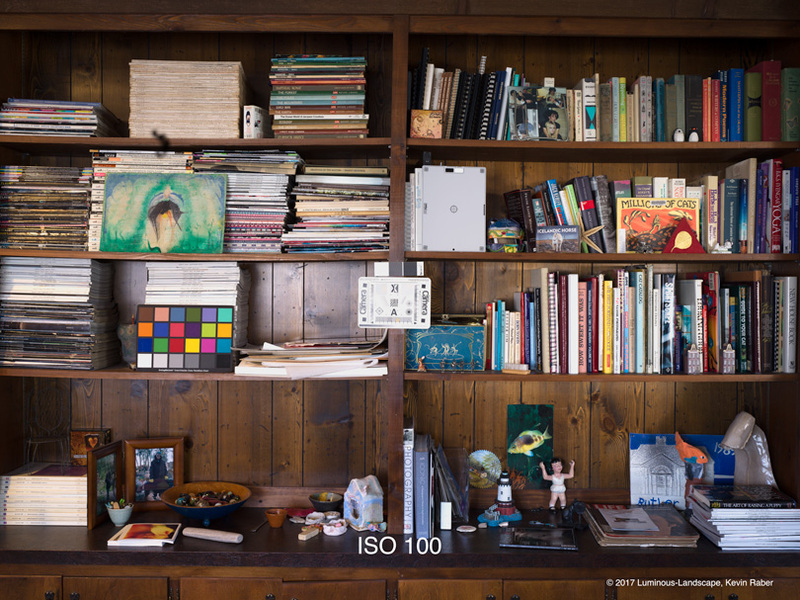 Most of these are similar to what we are used to with any digital camera. The Mq mode is primarily used in the studio if everything is locked down. It turns off the rear screen and freezes the settings, thus reducing power consumption. On either side of the accessory shoe, you’ll find two plastic pieces. These contain two antennae. One is for WiFi and the other is for GPS. GPS was either not installed or working on the camera I was using. 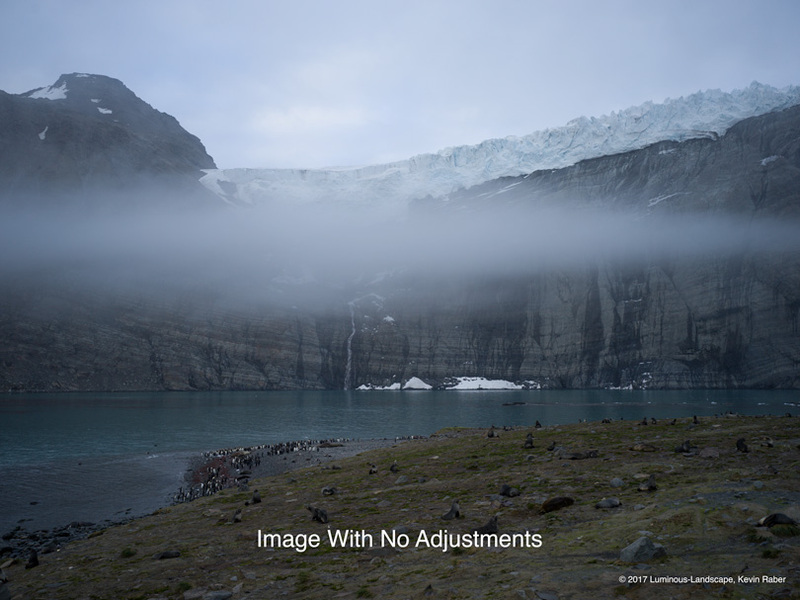 When it works, it will be a great tool, especially for the landscape photographer. I found I primarily used Aperture Priority, Shutter Priority, and Manual. All worked as expected. Another cool feature is that as you turn the mode dial, a similar dial appears in the viewfinder or rear screen. You can actually adjust all the settings without having to look at the dial. It is details such as this, that make the user experience so much more pleasant. 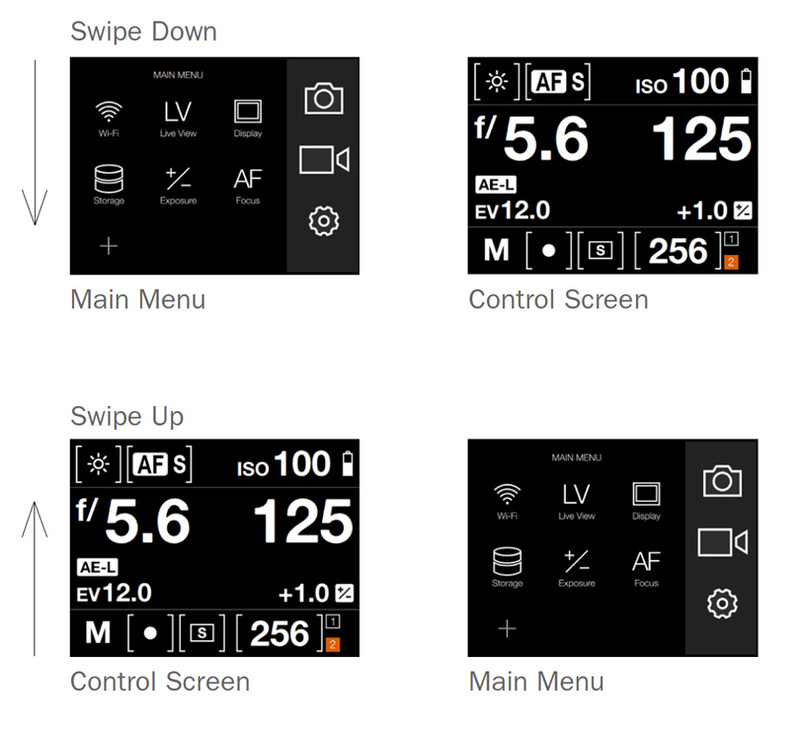 If you are a user of custom settings, then you’ll find it very easy to select and save up to 3 custom sets for the X1D. I can’t tell you how much I dislike most camera menus. I am pretty sure most readers feel the same way. Most of the time they are very unintuitive, as well as hard to understand. This is not the case with the X1D. This is a menu system done right. As you can see from above, there is a screen full of information. All of this should be understandable for any photographer. Simply touch a setting and it opens a new menu. Touch the WB and you get the White Balance choices. Touch the WB of your choice and it is set. Touch the ISO button and you get a scrollable set of ISOs to choose from. Once again, touch and you are set to go. The above explains how to setting for taking photographs. You also have choices for metering type, shutter speed, SD card use, exposure counter, battery, f/stop, exposure compensation and drive modes. Speaking of drive mode, I did have a shutter release cable so for doing long exposures. I just touched drive mode, selected self-timer set for 5 seconds and tapped to select. There is also a level and pitch choice. To move to camera settings mode, you simply swipe the screen up. To return to camera setting, you swipe down. You can get an idea of the available screens and actions from the illustrations. From the camera setting menu, you select an item. You are presented a related list and then touching a choice opens up a third list with setting choices as shown below. 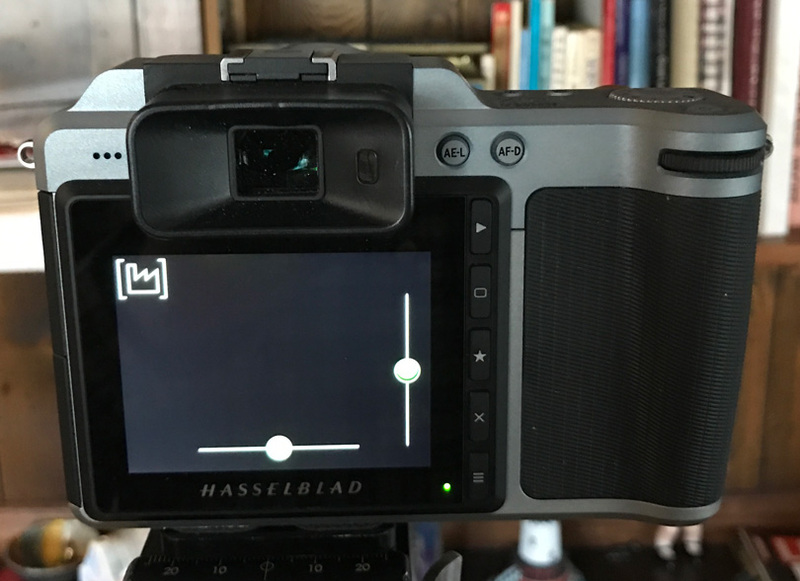 On the rear of the camera are two other buttons. These are easy to reach with your thumb when shooting. They are AE lock and AF drive button. This is the first camera that actually gets the idea that many us like a rear AF button. See below. To the right of the rear screen are 5 other buttons. While somewhat intuitive, some have multiple functions depending on the mode you are in (shooting or playback). Let’s take a look at them . . .
Top Button – is a browse button. It turns on the display to show images. You use your finger to swipe images left or right. You pinch to zoom or un-zoom. It’s so easy! Second button down (square) – is a soft button. Its function depends on screen information. It also acts as a delete button in Browse mode and changes to and changes the overlay in Live View Mode. It kind of sounds complicated, but it really is quite clear when in use. Fourth Button – This is a soft button and changes depending on the screen you are in. It allows you to change the overlay in live view mode. See the photo above of the self-timer to see how a soft button is used. Menu Button – Opens the Main Menu. It’s also used for other tasks, as you issue commands navigating the system. On the left side of the camera (looking at it from the rear) are two small hatches. With your thumb, slide the hatch back and it springs open. The top hatch has slots for two SD cards. Using the camera’s menus, you can select how you want images recorded to the cards. The camera will shoot a RAW and/or JPEG. You can select a card slot to be primary and another to be overflow. The X1D can write 78MB/sec to SD cards. It is shipped with a 16 gig SD card. Below the SD card hatch is another with a number of different connection points. Here you will find an HDMI output for using an external HDMI screen, a USB-C connector for tethering operation and a microphone and headphone jack. Underneath the camera is the battery compartment. I give an overview of that in the video above. The cool thing is that there is no battery compartment hatch—no door that can break. You slide the battery in or out. It has a nice tight fit and seal. Use the battery release lever and the battery comes out about a quarter of an inch. Push the battery in just slightly and then it slides the rest of the way out into your hand. This is a clever way to keep batteries from falling to the ground. The batteries have a mini-plug to charge them. The charger cord plugs right into the battery. There is no separate battery charging tray. The plug on the battery has a rubber grommet to keep dirt and moisture out. I like this feature a lot. 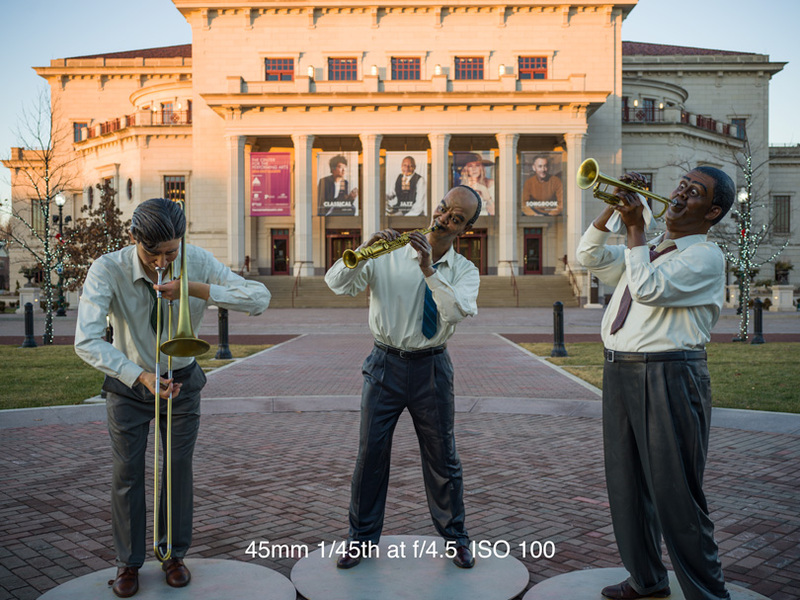 Using the X1D camera couldn’t be easier. It’s not bulky and is a pleasure to hold and operate. Controls are well placed for easy reach. Once you get the feel of the camera, it won’t be long before your fingers are going to certain buttons without taking your eye off the viewfinder. 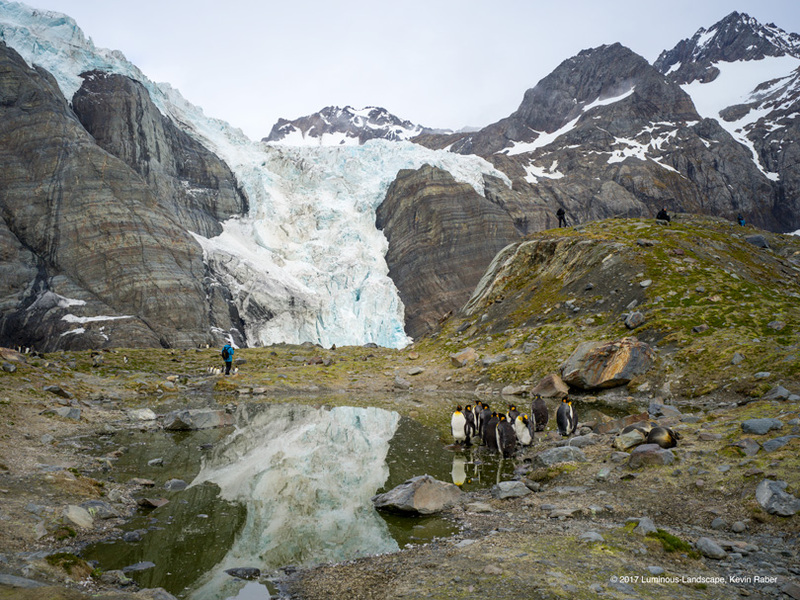 Taking photographs is as simple as turning the camera on, selecting AF method and exposure method and shooting away. I was using single focus in aperture priority with center weighted exposure most of the time. The meter has 3 choices for determining how exposure is determined. The diagram below shows how the exposure is determined with the three choices offered. I wish there were one more choice for a larger average of the whole frame. I found using center weight exposure and center spot to give me some strange exposures a few times. (see images below). After an exposure is made you can determine if you want a histogram displayed. 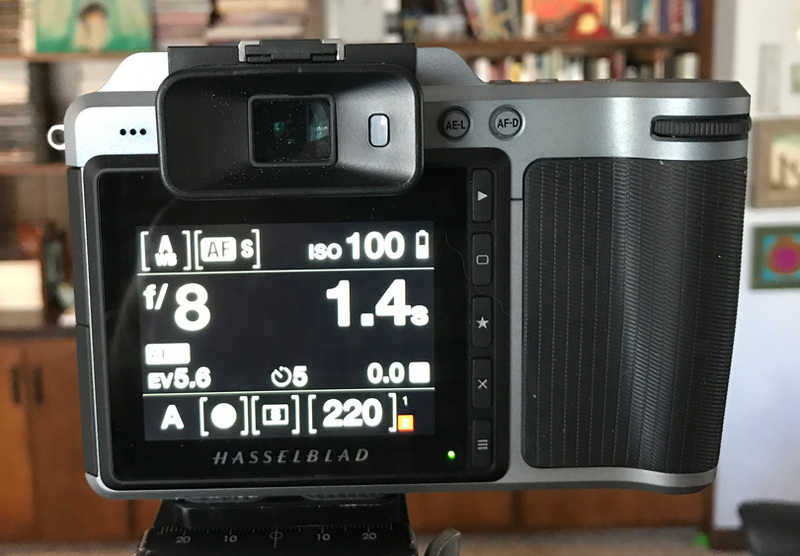 The X1D offers three different histograms. An RGB overlay, gray average, and a separate RGB channel view. You get to see these by swiping up on the display. Swipe up again to change the view. It’s all pretty easy once you get the hang of it. One of the things I am most critical of is the shutter sound and the lag time. Shutter lag, for the most part with current cameras, is a thing of the past. While it was something we dealt with in the early days of digital, I didn’t think I would see it in any modern camera today. The X1D has shutter lag. I’ll let someone with the proper equipment determine just how much. But, it is noticeable. 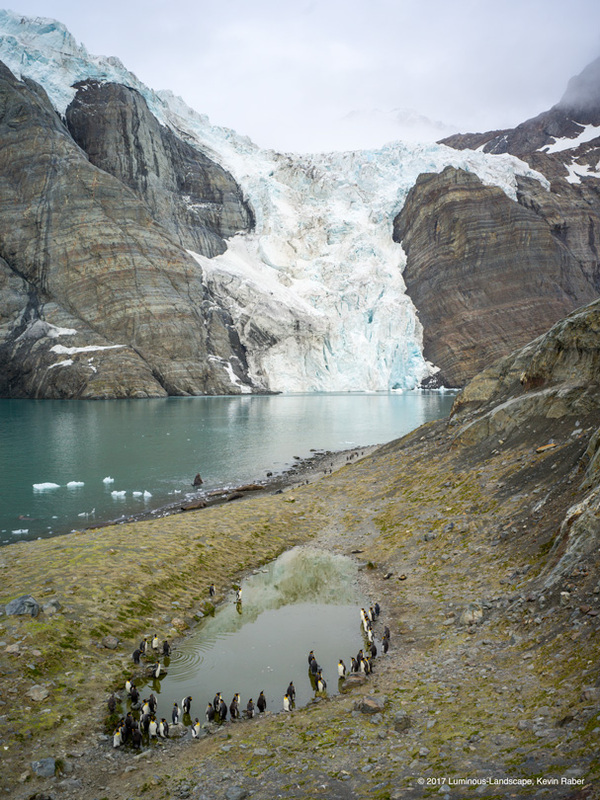 I ran into issues a few times trying to catch a penguin jumping out of the water. I missed the shot each time. By the time the shutter was pressed and all the shutter sounds took place, the shot was gone. I am talking fractions of a second, but nonetheless, this can mean getting the shot or not getting the shot many times. The shutter sound is just about the worst of any camera I have used. Hasselblad, back in the day, had the best sounding shutters in the world. Even today on TV shows they use the sound of a 500EL shutter going off when showing someone taking a photo. 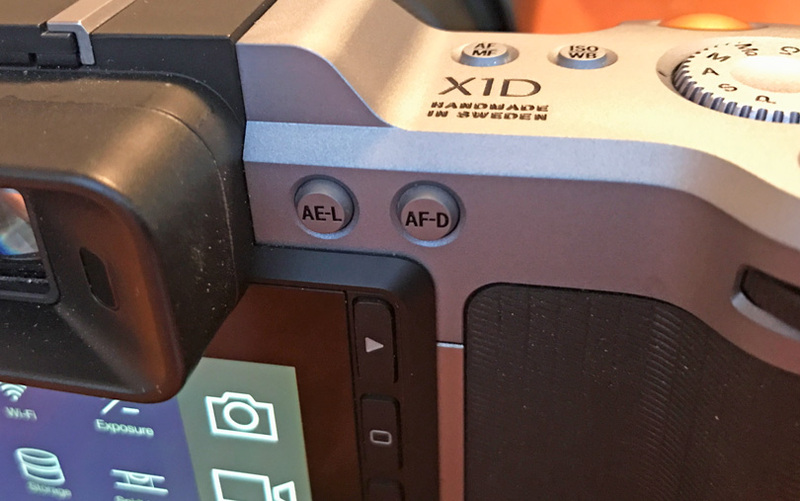 The X1D has a shutter sound that makes it hard to determine when the exposure is taken. As I show in the video above, the shutter is like a clickety – click – click with an extra one thrown in for good luck. With all the clicks, it is hard to determine which click took the photo. 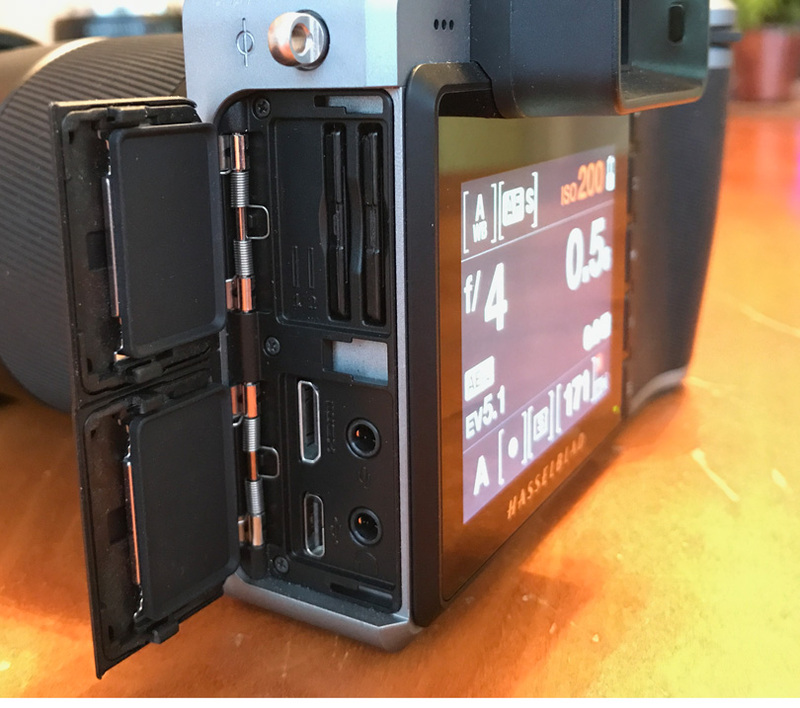 I know there is an explanation for this such as f/stop and leaf shutter closing, shutter opening for exposure and the resetting to live view again. 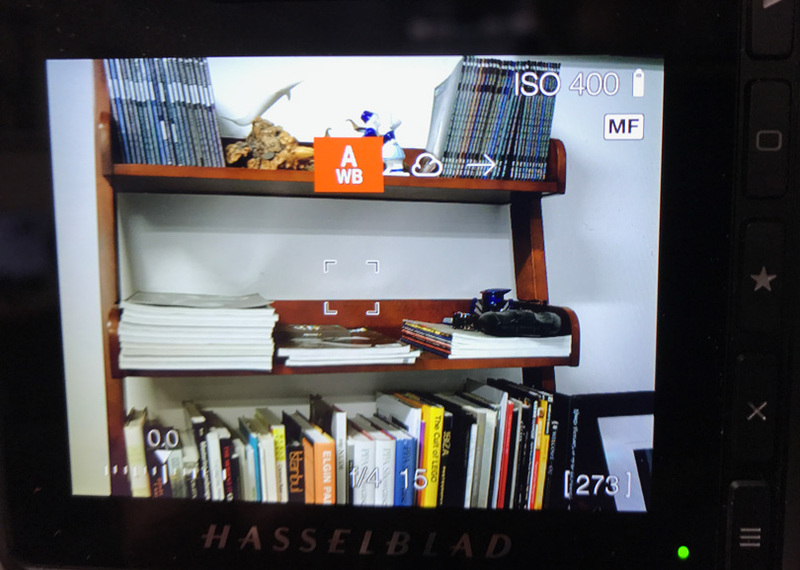 However, I really hope Hasselblad works on this one; fixing the lag and the sound will make a big difference. For the price we have to pay for this camera, I’d like a really great shutter sound. This is not an action camera. Even in continuous drive setting, I could barely average two frames a second. So, if you need something with faster frame rates, you may have to look elsewhere. 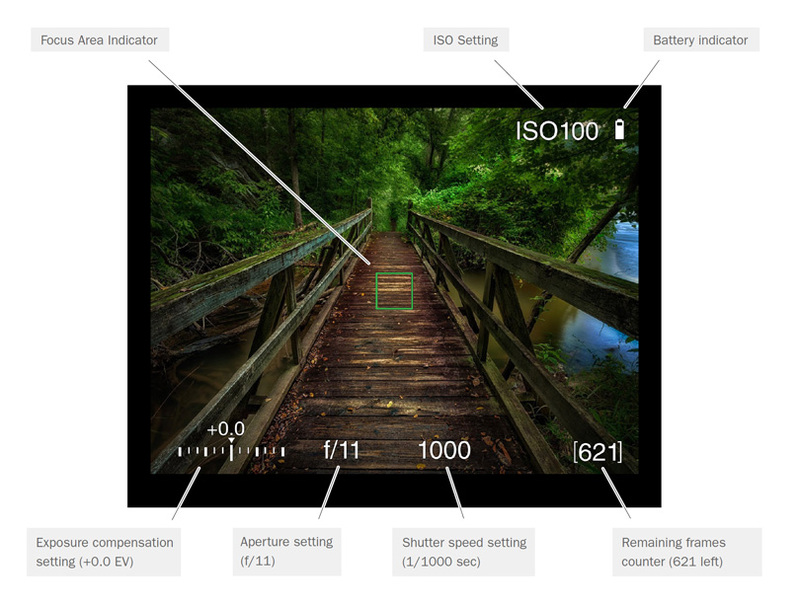 There is no multi-point autofocus. You get one point for AF. And there are 35 points available. In my interview with Ove Bengtsson, he mentions 60-plus AF points. But as of now, there are 5 rows of 7. As I said, you can only use one point (a little square) at a time. You press and hold the AF/MF button for three seconds. Then a grid of focus points pops up. You touch the one you want and it turns orange. 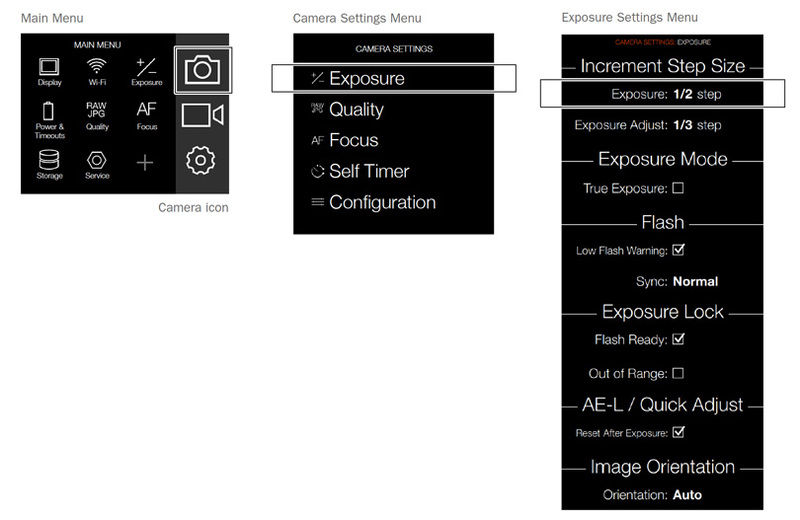 Then press the AF back button or exposure release and focus takes place for that point. When in focus, the square turns green. For the most part, if conditions are right, the AF is very quick. I did run into a number of occasions that I could not get AF to lock. One of those situations was photographing a car (see above). No matter where I switched the AF point, I could not get it to lock. I am not sure if there wasn’t enough contrast or the color was throwing the AF off. But this car had an anti-AF field on it because it just would not work. I experienced this a few other times, too. Luckily there is a Manual focus option, and that feature is really good. Switching over to manual focus is a breeze. Touch the AF/MF button on top of the camera and rotate the focus ring. 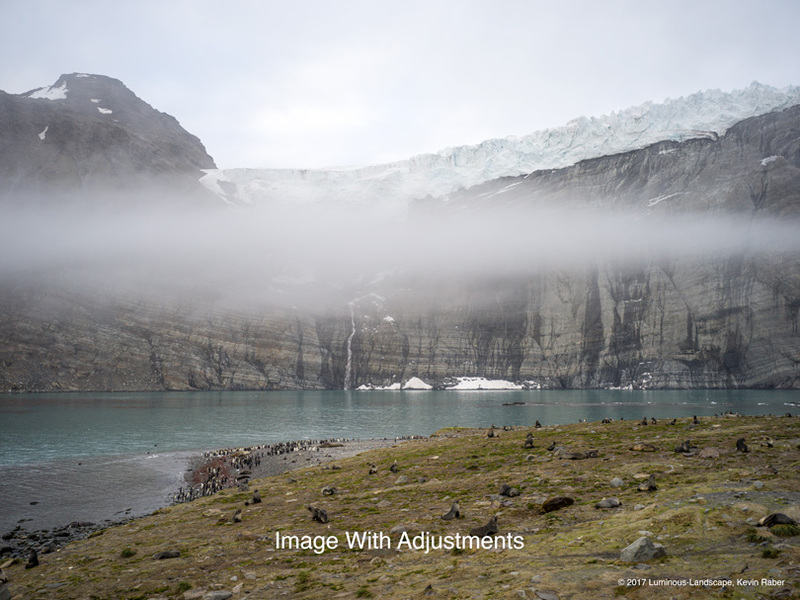 You get a brilliant enlarged image and it is very easy to focus on the area you want. I actually liked this feature so much I found I would use MF more often to focus my shot critically. There is an AF manual override so you can get in the ballpark with AF and then critical focus with manual focus. I would bet that the AF issues I experienced can be fixed with future firmware updates, as well as possibly adding more focus points. I really wish there were smart AF, though. I’m so used to pointing a camera and having AF choose an AF point. This also means there is no AF tracking. 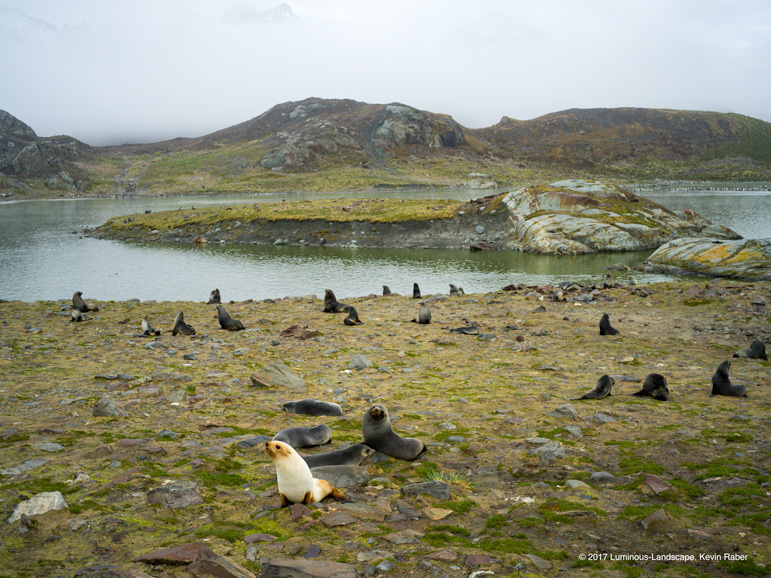 While I was in Antarctica, I found the batteries would last maybe 100-150 images then need to be changed out. This could have been due to cold weather. My battery use did not improve a lot when I got home, though. Also, when I was home in warmer climates I noticed the camera getting quite warm. Almost hot to the touch. I was shooting a lot and doing live view. I noticed this, especially when doing the ISO test below. I used live view and shot a lot of images. This is something that bears watching especially after getting more units out in the field. I am told that the reason the camera gets warm is that the body acts as a heat sink. There is information about a heat warning in the camera manual. 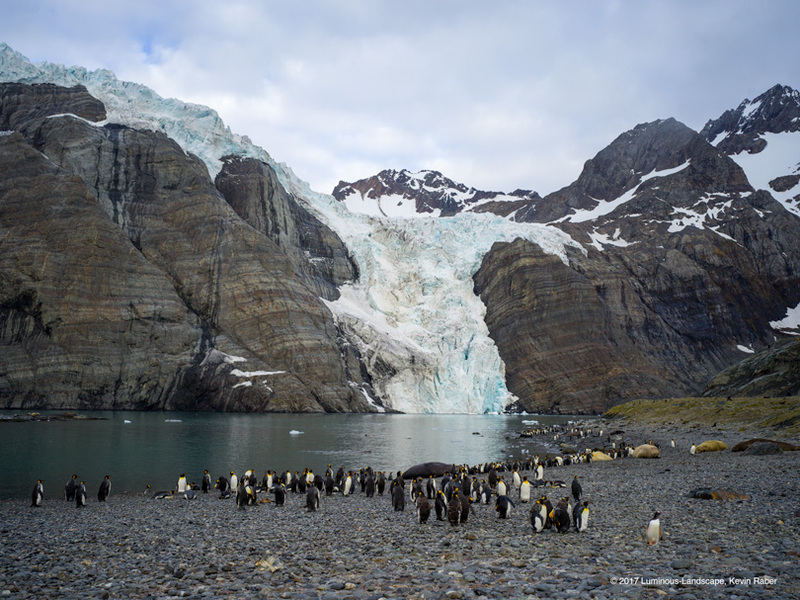 Shooting in hot environments may give you issues based on what is said. I’m sure, as more cameras get out in the field, we’ll hear whether this is a major issue or not. I shot a good number of exposures with the camera. I noticed two things that I will make you aware of. 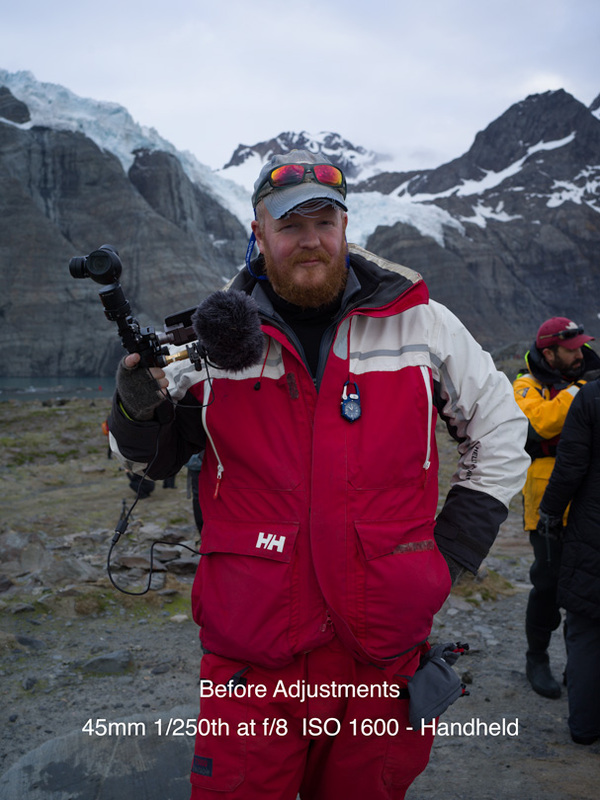 Using the latest firmware which was again upgraded on my return from Antarctica to v1.14, I had some occasions where I was shooting normally. Then for whatever reason, the camera started overexposing every frame. I was in aperture priority mode with AF and I would get white frames, completely overexposed. I continued to shoot to see if it would go away. It didn’t, so I turned the camera off and removed the battery and started all over again. I would then shoot another batch of images, and then it did it again. There was nothing to which I could attribute a cause and it seems to be completely random. Maybe it’s a firmware thing that has since gotten addressed, but I did experience it. I also found that if I left a battery in the camera, that it would lose charge. A full battery put in at night was half charged by morning. Once again, it may be a firmware power management thing. These things are not uncommon with a new camera. I’ll say that for a version 1.14 firmware that it was pretty stable. The issues I mention above were minor. I had no camera lockups or other major problems. 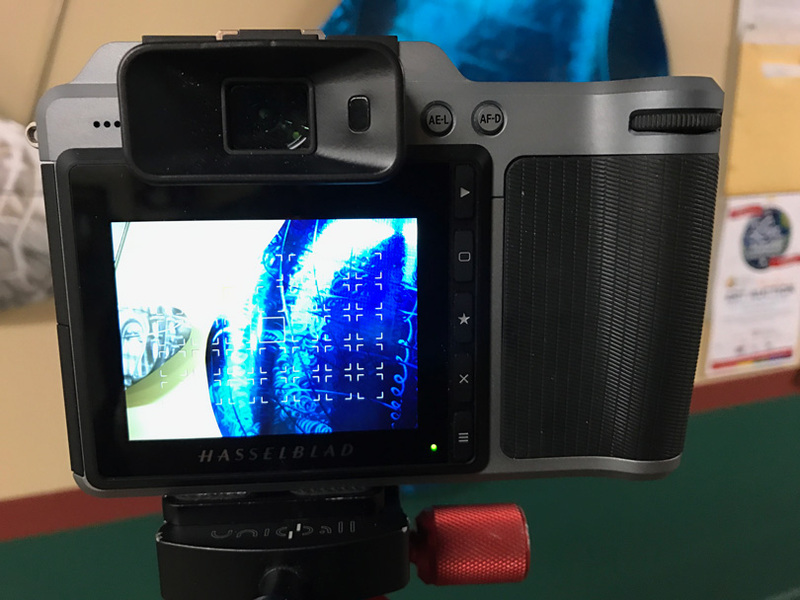 The viewfinder, as well as the rear screen, is bright and high resolution. They are easy to work with. I found I was working with both the rear screen, as well as the viewfinder on many occasions. I wish it had a tiltable rear screen. 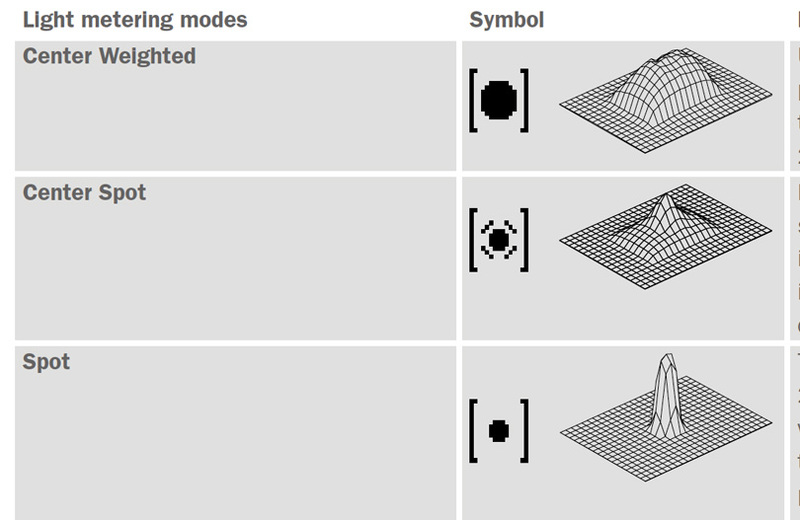 The diagram below will show you what data is available when using the viewfinder. As mentioned above, I wish there was an average exposure mode for setting exposure. 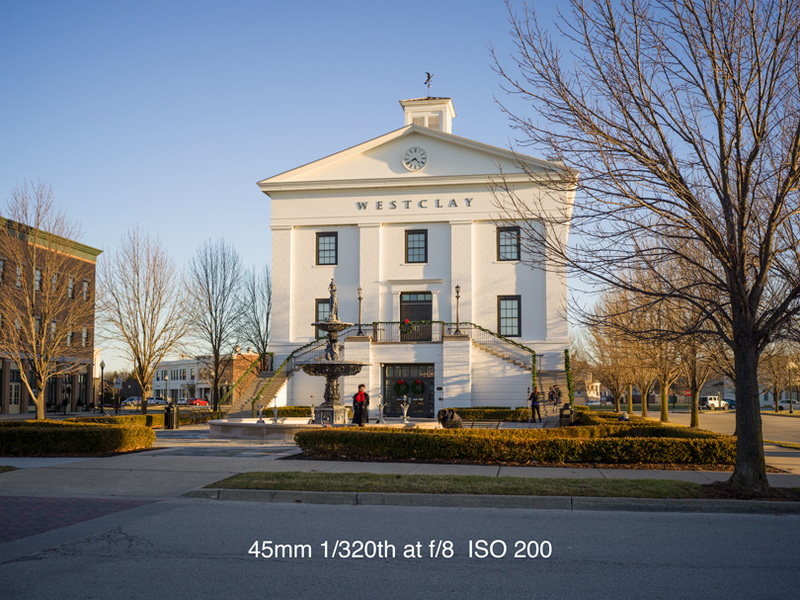 I found much of the time that the X1D was underexposing the image. I was not experiencing any clipping on the dark end of the histogram, but the camera seemed to want to expose to the left. Below are two images where this happened. You can slide over to see before correction and after correction. In the end, they came out fine, since I was shooting RAW. But the meter was being thrown off by something. You can also click on the links to see these images at 100 percent. The image of my friend Peter Cox in the red outfit is a good one to zoom in on and see the detail. You can even tell what time it is on his watch. Below are a series of images I made using my home bookcase. 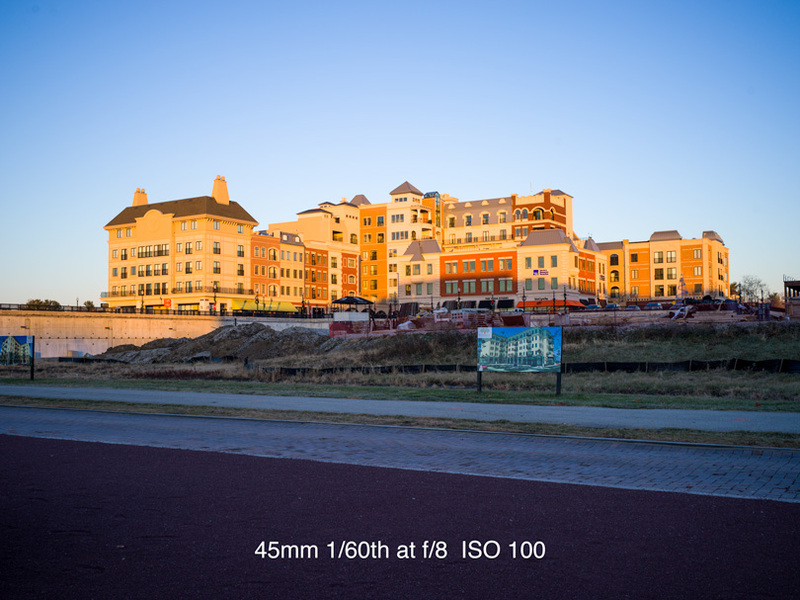 I love this as my test for ISO performance and lens sharpness. The sensor in this camera is the same as many other 50MP cameras. Performance ISO wise was what I would expect as to where noise becomes a factor. Everyone has their own limits and the subject being photographed also can dictate how much noise is acceptable. There is no noise adjustment in these images. White balance was the only adjustment made balancing off the large gray card in the image. I believe, that with some noise adjustments, some of the higher ISO images could be improved. At the higher ISO images I saw strange banding, and it should be clearly visible on the respective images below. I have no idea what is causing that. For critical viewing, click the image to see it at 100 percent size. You can scroll through the images and zoom in and out. Close the window when finished and return to the article. You can also jump to any of the other images below by clicking the arrow in the upper left corner. This will take you to an index of the other images. Simply click on the one you want to view. We hope you like this new feature. Notice the banding on the 25,000 ISO image. Not sure what caused this. Below are a variety of images made in different lighting conditions. 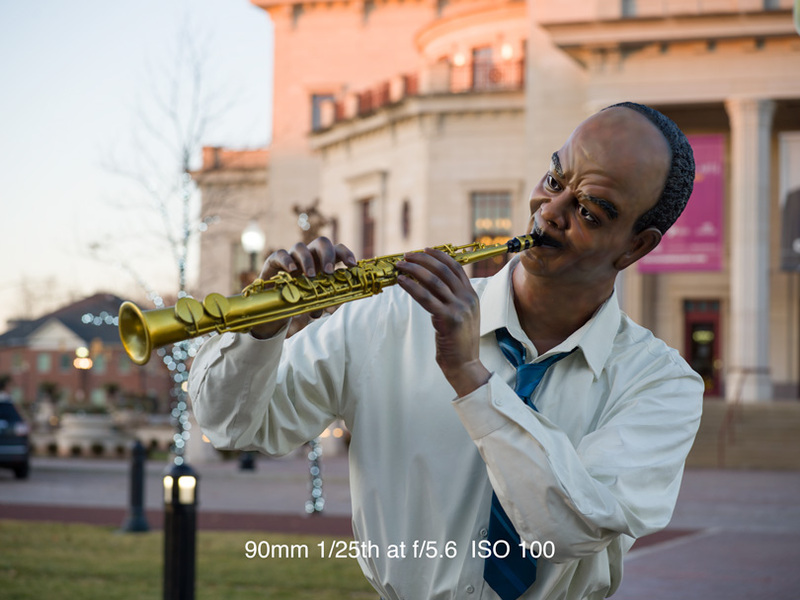 Also, some were made at various f/stops, so you can see critical focus and background blur. Before going into my final thoughts, I want to make sure that you know that all images shown here were processed using Lightroom. 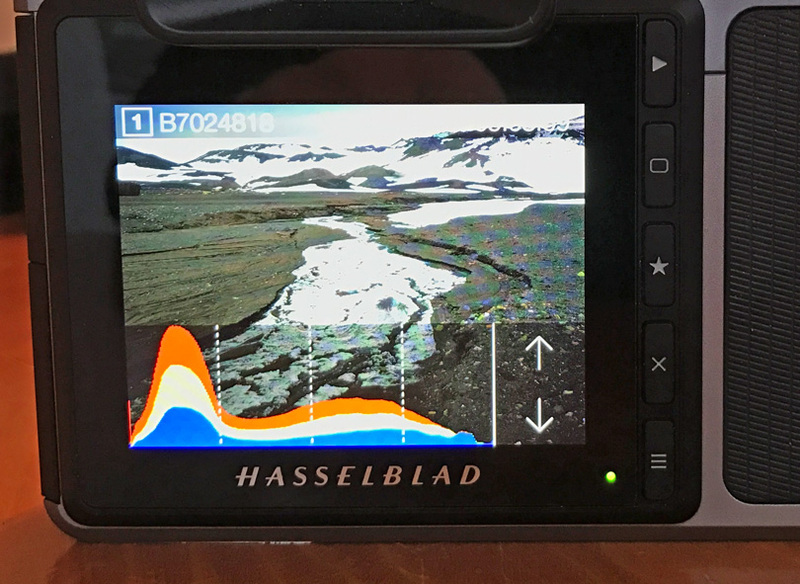 Hasselblad has their own proprietary software called Phocus. Frankly, I found it to be painful to use and learn. For all the cool intuitive features that the X1d has, it is totally ruined by the experience of having to use Phocus. I spoke to a few Hasselblad users about this, to make sure I wasn’t missing something. They all said they use Lightroom and feel the same way. I was supposed to get help with Phocus from the local Hasselblad rep, but he got called off to somewhere else and couldn’t make the meeting. I was going to try and walk through it over the phone with a rep, but that never happened. I did try the video tutorials and that just didn’t work out. 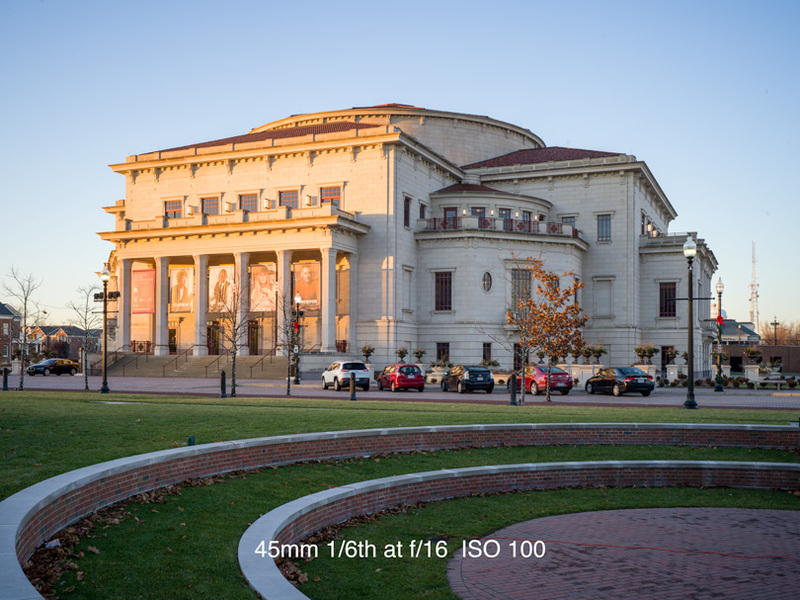 Lightroom, however, gladly accepted my files and did a fine job processing the images. My recommendation, if you get this camera, is to process your RAW files using Lightroom. Phocus felt out of date and completely unintuitive. Yes, you could say it is the user, but I have been around a while and can usually pick these things up pretty quickly. I also did not test the connectivity of using the camera remote app and tethering. Thinking about my experience with this camera, I must compliment Hasselblad on excellent design and user experience. It was a pleasure to use, and except for some minor issues, the camera did a great job at delivering. The price of this camera—at $8,995 USD for the body and $2295 for the 45mm lens, and $11,290 total—is pretty pricey. 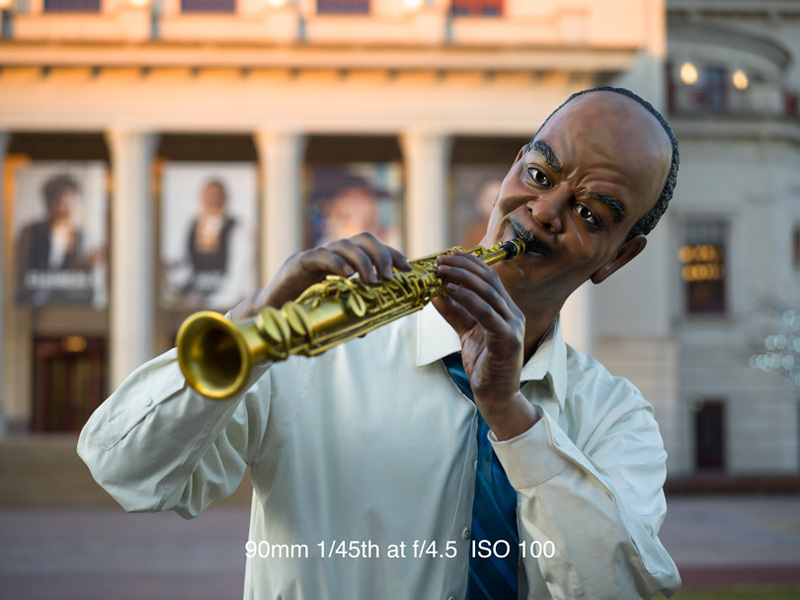 For the price, I would have loved to see better auto-focus and a few more advanced features, like focus bracketing. This is an amazing camera for those who have wanted to get into medium format photography and have not been able to splurge on one of the X!D’s much higher priced rivals. In comparison, the X1D is a bargain. It’s all relative when you get to this type of camera. As a landscape photographer, I would find the X1D a very attractive camera. Landscape shooters are always fighting weight. No one wants to walk or climb any distance with a heavy bag of gear. I did some calculations on the other announced lenses for the X1D and you could easily put together a nice kit with 4 lenses and 4-6 batteries and fit it into a F-Stop Bag insert (10×10 inches aprox.) and come in at around ten pounds. For a landscape shooter, that is a nice compact lightweight system. Overall, this is one fine camera that has put Hasselblad firmly back in the game as a premium camera maker. This camera, unlike the H-series, is manufactured completely by Hasselblad. It is built well and designed, as one would expect, by the Swedish company. Form and function take a priority with a lot of little things found all throughout to enhance the usability of the camera. There are no afterthoughts in the design. Each button and each menu is designed to make the user appreciate it. It’s simple and functional and the image results are excellent. Since the time that Hasselblad announced this camera, a lot in the industry has changed. 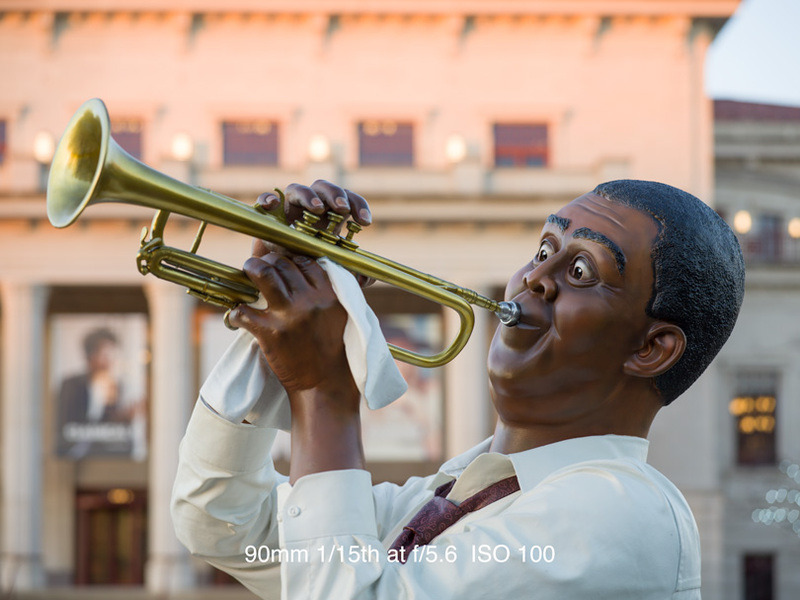 A new player, Fuji, is throwing its hat into the game with its own 50mp camera – the GFX. We should know more about this camera soon. Word has it that it will start delivery in the next month or so. Hasselblad is in a tough spot. They have lots and lots of orders that they need to deliver. 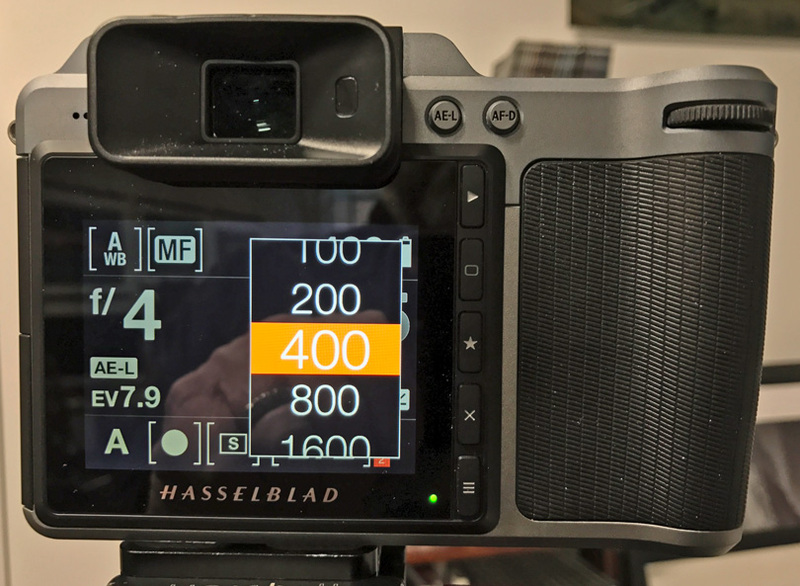 As reported in our interview with the Hasselblad CEO back in December, it may take them through April to deliver the orders they presently have. In my opinion, they have a winner on their hands with this camera. They need to get the orders out. They need to announce and deliver additional lenses and round this camera system out to what is needed to be competitive in this new field of 50MP cameras. This will be an interesting year. 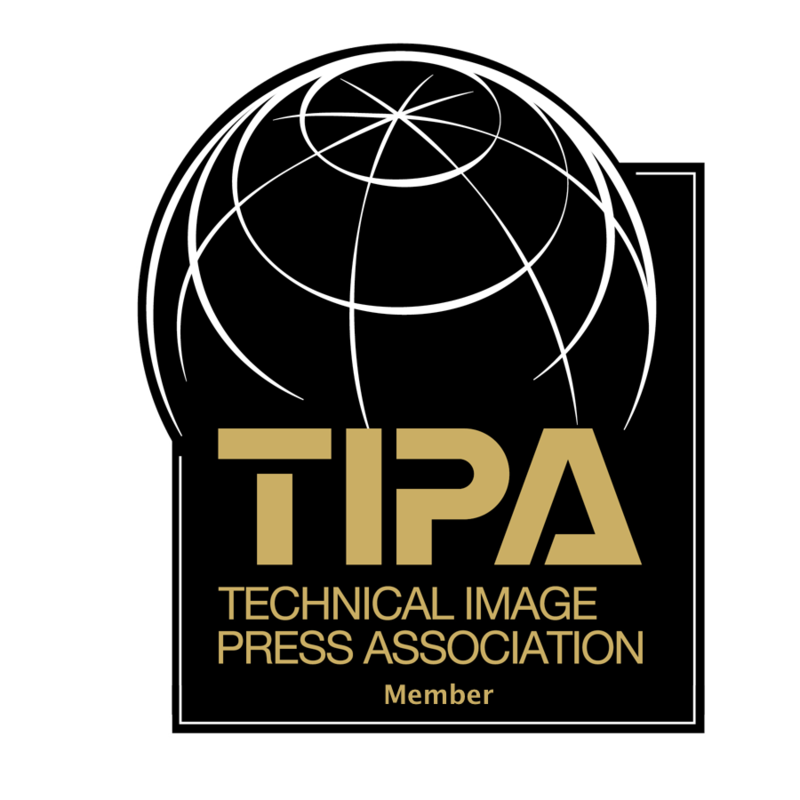 If some of the rumblings are true, we haven’t seen the last of entrants into the 50 plus mega-pixel market. It’s funny that a year ago there was a lot of talk about how medium format was dead and the pixel war was over. That doesn’t seem to be the case now. Only time will tell if the marketplace is large enough to support multiple players in this business. 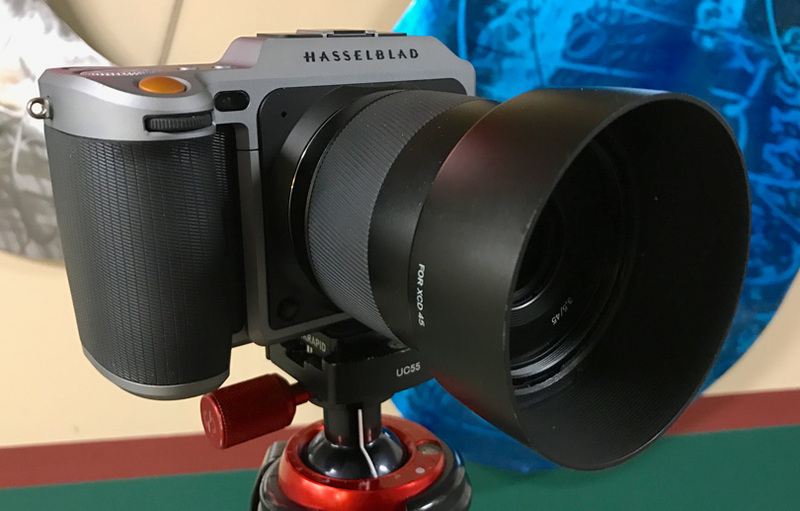 For now, Hasselblad has a head start and a great product. I will be excited to see the X1D system mature and I believe it has a bright future. For any photographer looking for a file that will give them the details they have been missing in their images, the X1D is a superb choice. 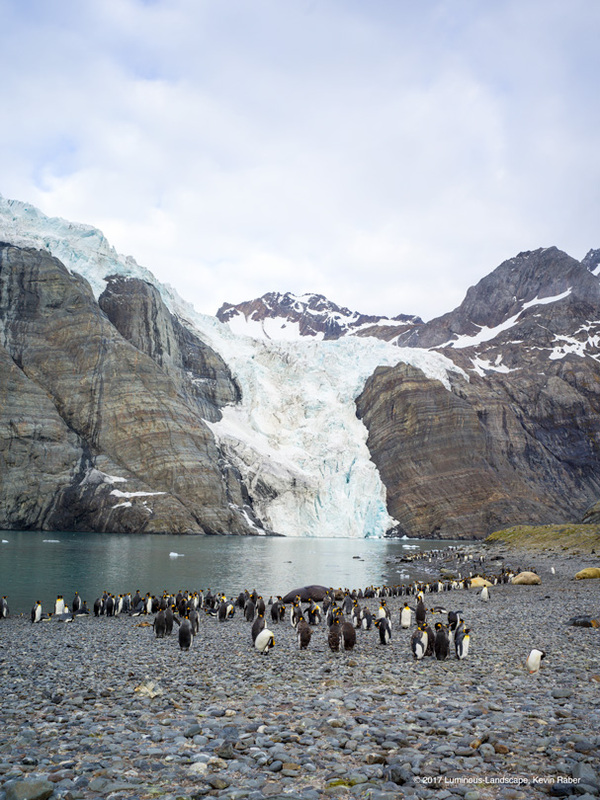 I have made a few 30×40 images from some of the files I shot and they are stunning. As for Hasselblad, my recommendation is: Get these cameras out the door. It’s one of your finest products ever. Job well done! 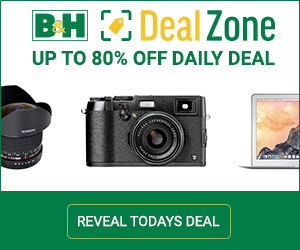 The Hasselblad X1D is available at B&H Photo. 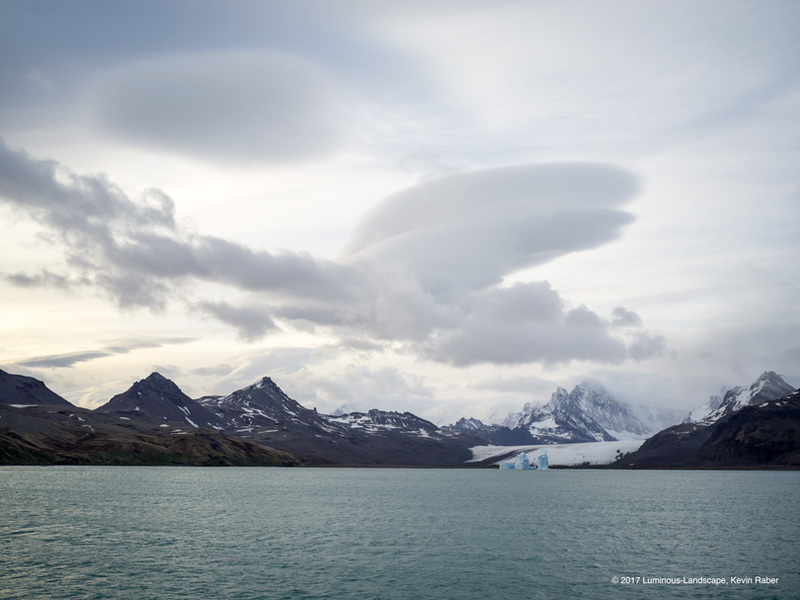 By purchasing through B&H using this and any other links you help support Luminous-Landscape. Thank you!